At Rankin Lawn Care, we recognize that fertilization, weed control, and consistent maintenance all play a vital role in the health, strength, and beauty of any residential or commercial lawn. However, sometimes these methods just aren’t enough to get a yard looking and performing its very best. This is particularly true for older properties battling excessive foot, paw, and tire traffic. For home and business owners in Ohio Rankin’s core aeration services deliver an ideal solution for their lackluster lawn dilemma. As a locally owned and operated professional landscape company, Rankin Lawn Care knows how Ohio home and business owners use their front and backyards. During the warmer seasonal months, our properties are transformed into some of our most utilized living spaces. 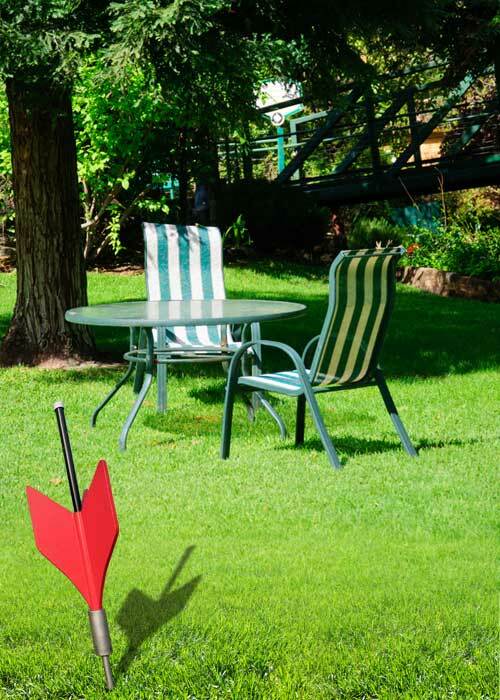 However, playing, entertaining, and relaxing in our yards can present a problem. Over time, the high-traffic areas of our lawns become trampled and condensed, compacting the soil and generating excessive thatch growth. 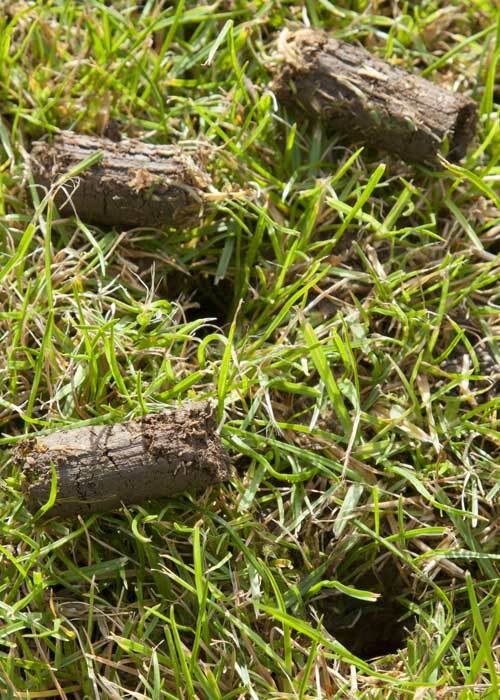 When left untreated, heavy soil compaction and thatch prevent essential light, air, moisture, and nutrients from penetrating the lawn’s surface, eventually suffocating healthy grass blades and diminishing the health of their entire property. When used seasonally, or as part of a comprehensive lawn care treatment plan, core aeration repairs, restores, and rejuvenates your lawn for long-term, noticeable results. Of course, at Rankin Lawn Care we know that core aeration is only one-step in a successful landscape solution. Rankin also offers overseeding to enhance core aeration results. The overseeding process applies grass seed over an existing lawn, providing an effective, yet affordable way to make a significant visual impact. Overseeding introduces new and improved grass varieties, helps your lawn look lush and green, fills in thin areas and bare spots, improves insect and weed resistance, and aids seed germination. It can also quickly restore your lawn after prolonged drought conditions. 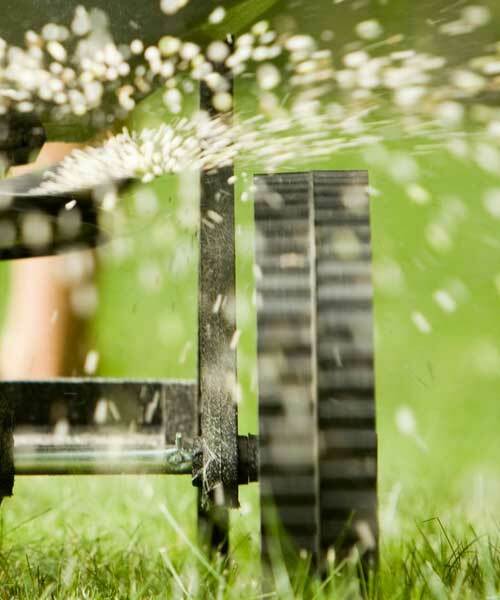 When used together, core aeration and overseeding can maximize the health and beauty of your home or business lawn. Let Rankin Lawn Care help you protect and preserve your Ohio property. Contact us our team of landscape professionals today for more information.